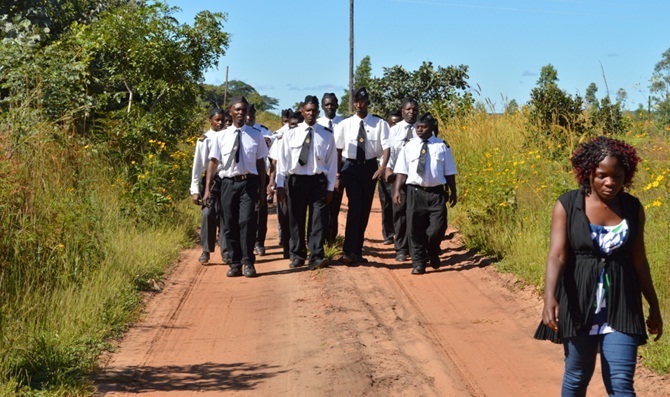 SENGA HILL: The National Executive Committe (NEC) of the Boys Brigade of Zambia had sanctioned to hold its Officers and NCO’s specialised training courses in Senga Hill to service its rural membership in the Northern and Muchinga provinces. 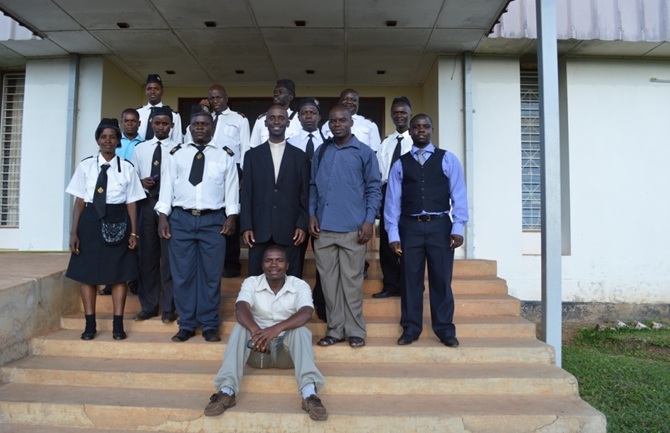 The National Training Instructors were to be drawn from Lusaka (2), Copperbelt (4), Central(2), Muchinga(2) and Northern (2)provinces under the leadership of course Commandant Lieutenant John Lusale Simbao and Chaplain Lieutenant Rev Dennis Mbita Sikazwe. 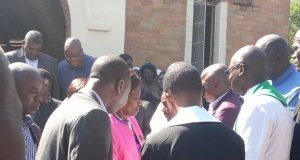 Having started off from Ndola National Headquarters couetesy calls were made on Rev Moses Gondwe (Kapiri Mposhi) and on Rev Daniel Chisenga( Mkushi) were Lusaka and Central province based Instructors were picked. Another courtesy call was made on Mpumba Boys Brigade at Kalonje TAZAMA pipeline and proceeded to Mpika (TAZARA) were another Instructor was picked. 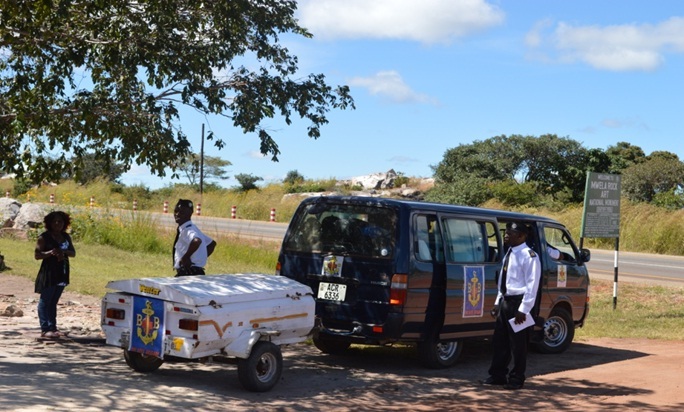 Brigade at Kalonje TAZAMA pipeline and proceeded to Mpika (TAZARA) where another Instructor was picked. In the early hours of 24th April 2014, the team decided to hang around at Chambeshi until daybreak so that the team can visit the National heritage site( the weapons that were abandoned by the Germans on 14th November 1918( Thursday) at 07:30 AM then. It is also believed that other weapons were disposed off in the Chambeshi river. The team then proceeded and made a stop over in Kasama for a bath and breakfast. 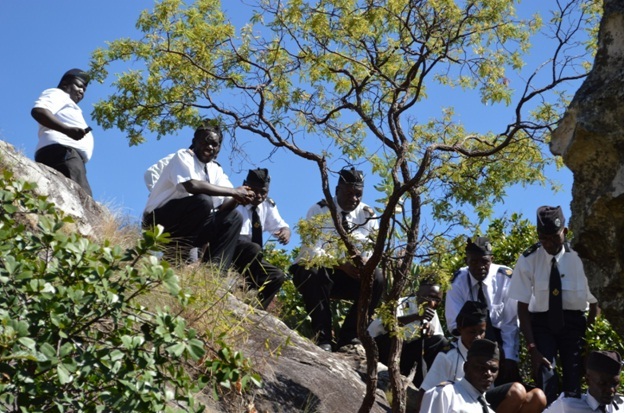 The team was then taken to Mwela National heritage site east of Kasama along Mungwi road. From there, the team left Kasama around 12:05 hour for Senga Hill, where part of the team was left while rest of the team proceeded to Mbala. In Mbala the team visited the Motomoto Museum( where a number of items were viewed including pictures of Barbara Lea the founder of the Womens Christian Fellowship(WCF) KBBK then, Donald Siwale, David Julizya Kaunda, Lawrence Katilungu and Mbikusita Lewanika). After the visit the team went back to Senga Hill Mission Station. The programme was flagged off with a parade in which a guard of honour of the Minister in charge and the B.B. Patrons was mounted graced by the Kasama B.B.Brass Band. The turn out of the participants was overwhelming. 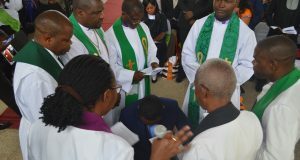 The programme was a success despite the prevalence of a few administrative flaws. 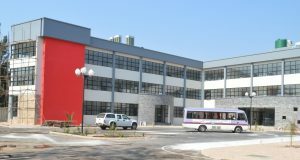 Among some of the training instructors spoken to, some expressed displeasure in the manner the course administration was handled citing lack of consensus and transparency, while another source outrightly refuted claims of lack of transparency pointing out that the programme was purely voluntrary and the whole arrangement was totally different from other training programmes. Otherwise , the B.B. NEC is to be commended for such an innovative move of taking training courses closer to its membership. The spicing up of the course with outings was equally another innovation worth commendation for it did not only provide a learning moment but also leisure time.